Does Vegetarianism Fit Your Lifestyle? Many people like the idea of living a vegetarian lifestyle because of their values and personal beliefs, but once they decide to give it a try they find it doesn’t blend well with their personality or other aspects of their lifestyle. For others cutting out meat is a pleasant and simple experience, but for those who aren’t as lucky it takes extreme dedication to make it work. The following questions will help you analyze your own personality in reference to the vegetarian lifestyle. If you find that it doesn’t suit you on some level, remember this isn’t an all-or-nothing lifestyle. You can still eat fruits, vegetables, and whole grains the majority of the time while having some meat on occasion. Remember, vegetarians don’t always cut out eggs and dairy products either, so there is a lot of wiggle room to find a vegetarian plan that fits your life and personality. 1. Are you concerned with the welfare of animals typically consumed as food? This is one of the biggest reasons most vegetarians go vegetarian. They don’t believe that animals consumed as food are treated humanely prior to being consumed or they simply don’t like the idea of eating a dead animal in any circumstance. The refusal to eat meat can feel like taking a stand or following your values in this case. If this really is not a concern for you, then there has to be some other major motivating force to help you adopt a vegetarian lifestyle. If there is no real reason you chose to go vegetarian, it will feel more like a diet and you aren’t as likely to stick with it long term. That is probably why the majority of true vegetarians you meet follow the lifestyle out of personal beliefs and care for animals. 2. Are you concerned with the negative effects animal products could be having on your health? This would probably be the second biggest reason many people stick to a vegetarian lifestyle. The foods consumed on this type of diet are a lot healthier for your heart and other organs of the body. A vegetarian diet balanced with whole grains and a lot of fresh fruits and vegetables will drastically cut down on the amount of saturated fats that you consume. Dr. Dean Ornish is well known for his vegetarian diet plans that advocate heart health and even reversing heart disease with fresh foods. His more recent book, The Spectrum, does allow some meat if you choose, but he really advocates protecting your heart through vegetarianism. 3. Do you need to lose weight, but don’t want to go on yet another diet? Many people decide they need to lose weight but don’t want to cycle through another failed diet, so they reason that they can just cut out meat and their diet will be healthier and lower in calories. You can’t approach vegetarianism in this way! There are overweight and even obese vegetarians out there. They are overweight because they eat a lot of processed, high fat meatless foods. Unless you are a vegan and watch for animal byproducts, potato chips and cake can be considered vegetarian! 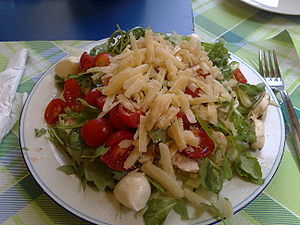 If your goal is to lose weight, a well balanced vegetarian diet will help. You just have to make sure it is well balanced just as you would on any other diet plan. Remember, if you strike out at one of these three points, there is a way to work a vegetarian lifestyle into the life you currently live. In Part 1 of Going More Raw we talked about some of the misconceptions of what a raw diet lifestyle is and some very practical ideas about how you can to get healthy. It doesn’t’ have to be radically raw but more practically smart. In this second part it is about more . At the end of this guide we will talk about writing down what you really want for your life in the future. You will be able to explore all of the things on this list as well as other things that you personally relate to a healthy life. This will give you an idea of what you should be striving for in the future. Rather than thinking of what you need to eliminate to get healthy, focus on adding in things that will make you healthier. These healthier choices will slowly push out the unhealthy foods that you are currently eating too much of. You are focusing on the positive rather than the negative. By focusing on what you are giving yourself and the great changes you are experiencing in your life you will inspire and motivate yourself to continue. With time the changes become automatic lifestyle choices that you don’t have to think about. That is when real health sets in and your body comes to life. How difficult it is to move toward raw foods will depend a lot on your mental perspective. If you think of it as giving up all of your favorite foods and sacrificing for health you will have to drag yourself kicking and screaming every step of the way. Instead, think of it as a gradual process where you get a fresh start on your life. You can change the things you don’t like about your lifestyle and enhance the things you really love. You can even find new things that you love! This is your chance to start clean. You have new hope for a better future. You are not losing anything because what you are gaining is so much more valuable. How you think about the new lifestyle you are moving into will determine how successful you are at making the change. The best way to determine whether moving toward raw foods is a good idea for you is to ask yourself what you want most from life? Make a list of all the things you really want for yourself and then ask yourself how many of those things can be achieved or enhanced by the healthy lifestyle you want to adopt. This should show you all that you have to gain by making these changes. You can also use this strategy when you have cravings for foods that aren’t so healthy. Do you really want it? If you do, have a small treat. If you don’t, find something healthier with a similar taste. Keep this list of the things you want most and read it whenever you question your ability or desire to keep moving toward a healthier lifestyle. Remember that you aren’t doing this to deprive yourself but to create a new beginning where you can live the healthiest, happiest, and most fulfilling life possible. Remember that the cultural idea of a raw food lifestyle is not accurate. It doesn’t have to be extreme and you don’t have to give up on all of the enjoyable things in life to stick with it long term. Keep it practical and make educated, slow changes that will naturally become new habits. Come visit our store to find great stuff to set-up Raw Kitchen. There is a stigma against the raw food lifestyle in our society today. Many people believe it is synonymous for a super restrictive vegan lifestyle which forces you to give up all the foods you love. 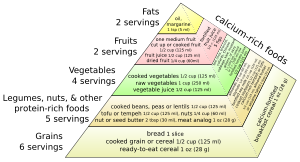 Very few people can follow that type of diet for long so it is considered extreme. The good news is living a raw food lifestyle doesn’t have to be overly restrictive and you don’t have to shun everything tasty and enjoyable. Changing from an unhealthy diet full of high fat, processed foods can be very practical and enjoyable. When done in slow, calculated steps from someone who has done their research and educated themselves on what a raw food lifestyle really is, the change from unhealthy to raw food is very realistic and easy to follow long term. You can live a full life and thoroughly enjoy yourself while following your own version of a raw food diet! The common misconception about a raw food lifestyle is that you can only eat raw fruits and vegetables. Cooking is not allowed and everything is incredibly bland, dry and tasteless. This is the extreme raw food lifestyle that some people are able to maintain, especially those who live this way for religious reasons. Fortunately, this isn’t the raw food lifestyle that the majority of people settle into today. This isn’t the way it has to be for you! A raw food diet simply means you eat foods that are completely natural and which have not been processed or treated with pesticides, chemical fertilizers, hormones, and other unnatural and often extremely unhealthy substances. You fill up on nutrient-dense foods that give you life and energy rather than taking your life slowly over time. There is a spectrum with a very unhealthy diet on one end and the extremely restrictive raw food or vegan lifestyle on the other end. Where you end up on this spectrum is up to you. Most people settle somewhere in the middle where they enjoy tons of raw foods on a regular basis along with whole grains and other foods that are lightly processed. They also enjoy their favorite unhealthy foods in small portions from time to time. What a healthy lifestyle actually means will be different for everyone. It’s about finding what you are comfortable with and what makes you feel healthy, vivacious and alive. Those who are the most successful with a healthier way of eating tend to be those who are also striving to get healthy in some or all of these other areas. Again, it’s not about making drastic changes overnight. In the part ll of Going More Raw we will look at some ways you can get moving towards a healthy lifestyle, what this will look like and how it can work for you. 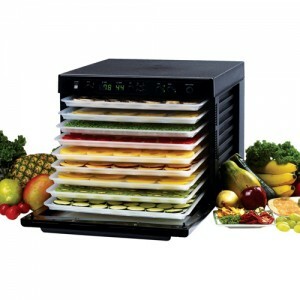 We have many small appliances and kitchen gadgets in our store that are perfect for anyone considering the raw food diet. From Excalibur dehydrators, sprouters & growing kits, to a wide variety of twin gear juicers. Raw Foods Diet, Whole Foods Diet, Veganism, Vegetarianism: What’s the Difference? You hear all of these terms on a routine basis and perhaps have a general idea of what they all mean, but many people don’t really understand what the differences are between these categories of eating patterns. If you are thinking about cutting meat out of your diet or following one of these plans for improved health, consider what makes them stand apart before you pick one and get started. Raw food diets get a bad rap because many people see them as radical and highly dangerous. There are some plans that are too restrictive and can become dangerous to your health, but there are also hundreds of thousands of people who follow a more healthful version of the raw foods diet. Most people refer to this as a “diet” but for true raw foodism followers this is a way of life. 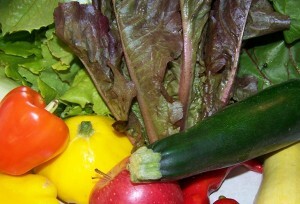 A genuine raw foodist will consume only natural grown foods in their natural state. There is some minor cooking that is allowed, where temperatures around 118 and below are maintained, but nothing heavy enough to remove the vitamins, minerals, and enzymes out of the foods. Many people who prescribe to the raw foods diet will eat something processed or cooked once in awhile, but many others completely cut those foods out. 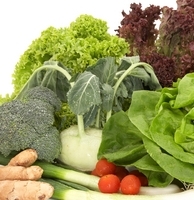 Since meat is not a raw, natural grown food source the raw foods diet is a vegetarian plan. It is just a bit more extreme than the lifestyle most vegetarians lead. This term is used interchangeably by people who don’t understand what this diet is all about. This plan is actually not vegetarian for many people, though it is lumped in with vegetarianism out of ignorance. On a whole foods diet the focus is on eating foods that have not been processed or chemically altered. The focus is on eating organic produce, whole grains and organic or free range meats. Chicken, dairy, and seafood are also allowed on the plan. Refined white pasta would naturally be replaced with 100% whole grain pasta, and so on. When done right, a whole foods diet is incredibly healthy. It is perhaps the healthiest diet you will ever find because it keeps your body nourished while cutting out your risk of deadly diseases. It is also the best thing you could do for your weight loss goals. It’s a shame so many people mistake it as an extreme diet like the raw food diet! A vegan will cut all animal products and byproducts out of their diet. They do not believe in using animals as a source of sustenance and in most cases this is a lifestyle taken on out of personal beliefs. In order to follow a vegan plan you have to learn how to combine foods in specific ways to ensure you get all the nutrients you need. While veganism is often lumped with the raw food diet because they can be equally extreme, you are free to cook and season your food all you want on a vegan diet as long as everything you eat is plant sourced. There are a lot of different types of vegetarians out there and veganism is one of them. Those who take it to a lesser extreme may cut out meat but still eat eggs and dairy products better known as a lacto-ovo vegetarian. Some claim this isn’t quite as healthy, but it is a lot safer since more foods are included.